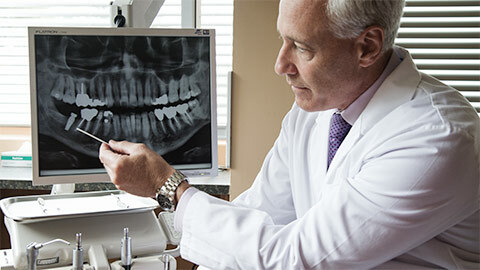 Dental implants are a long-term solution to tooth loss. 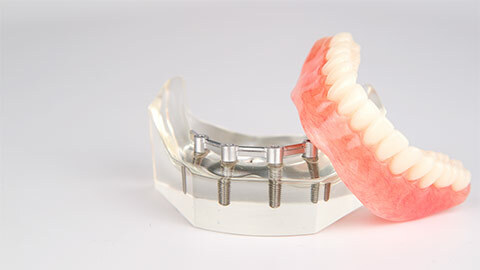 Dental implants are a fantastic way to replace missing teeth, giving you a natural-looking and feeling smile. Napa Valley Dental Centre - Kleinburg Dentistry in Kleinburg is proud to offer you this long-term solution, the latest in tooth replacement technology. If you have missing teeth, and otherwise healthy gums and jawbone, you may be a good candidate for dental implants. A dental implant is a false tooth connected directly to the jaw via a titanium metal root, resulting in a replacement tooth that looks and feels just like the real thing. The procedure can be used for a single missing tooth or several - even a complete set. In addition to looking and feeling natural, you’ll avoid some of the drawbacks you may have experienced with other bridges, partials and dentures. Since the implant fits into your jaw, it feels comfortable, won’t slip or move, and gives you the confidence that no one but you will know the difference. Dental implants can take a few months to complete, as implanting the roots takes time to heal, but they’re an investment in a permanent solution to your tooth loss. You’ll even floss and clean them like real teeth, so remember to book your checkups regularly with the friendly staff at Napa Valley Dental Centre - Kleinburg Dentistry. 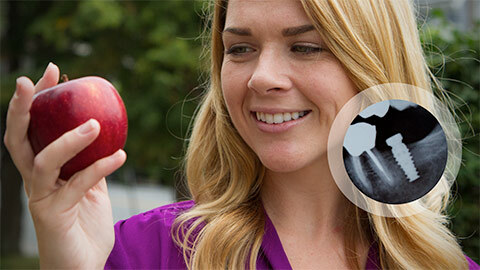 Wondering if dental implants are right for you? Dr. Braverman will explain the process to you and assess if you’re a good candidate for dental implants. If you, your gums, and your jawbone are healthy enough for implants, you’ll begin your journey towards your brand new smile! If you need more information about Dental Implants in Kleinburg, contact us today.